Linda Burhansstipanov has worked in public health since 1971. She taught at universities for 18 years (CSULB and UCLA). She developed and implemented the Native American Cancer Research Program at the National Cancer Institute from 1989-1993. She is the founder of Native American Cancer Research Corporation (non-profit) and President of Native American Cancer Initiatives, Incorporated (for-profit). She currently is the principal investigator and subcontractor for >4 NIH grants. She serves on multiple federal advisory boards. 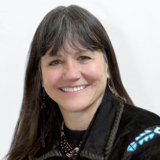 She has over 125 peer-reviewed publications, of which most address Native American cancer, community-based participatory research (CBPR), patient navigation, evaluation, public health and data issues. Community navigators help those with an unequal burden of cancer, which is often heaviest among racial/ethnic minorities, patients with lower socioeconomic status, and residents of rural areas who do not have equal access to healthcare systems and do not always receive timely, standard care when confronted with a cancer diagnosis.